INNISBROOK, FL – This year’s Transitions Championship at Innisbrook, a Salamander Golf & Spa Resort, could result in big savings for guests. The Tampa Bay/St. 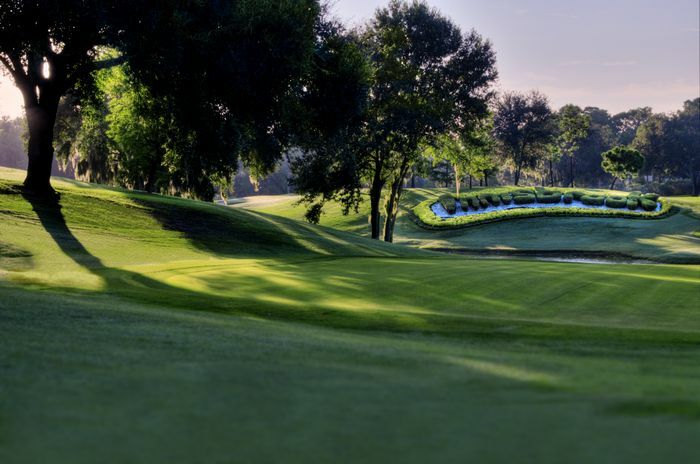 Petersburg area resort is offering a discount to match the winning score to par on its famed Copperhead Course, rated by professionals as the finest Florida course on the PGA TOUR. Last year’s tournament was won at 15-under par by Gary Woodland. A similar score at this year’s event, being played March 15-18, will provide a 15 percent discount on a future overnight stay. All reservations made with this offer will also be entered into a drawing to win a two-night stay at the new Grand Golf Resorts of Florida collection, which includes Innisbrook, Reunion Resort in Orlando and Hammock Beach in Palm Coast. The group is managed by Salamander Hotels & Resorts, founded by Sheila C. Johnson. To make Innisbrook reservations after the trophy presentation, call 800-492-6899. For more information, visit www.visitinnisbrook.com. The booking must be made by the end of March 2012, and the discount is valid for a stay between April 15, 2012 and January 15, 2013. This offer is not applicable to groups or previously booked reservations. More than two-thirds of the top players from the PGA TOUR and approximately half of the top 50 players in the Official World Golf Ranking are expected to participate in the Transitions Championship. The tournament is being broadcast on both The Golf Channel and NBC. Tickets are still available and can be purchased at www.transitionschampionship.com. Operated by Salamander Hotels & Resorts – and part of the new Grand Golf Resorts of Florida collection – Innisbrook is situated on 900 wooded acres of rolling hills in the St. Petersburg/Clearwater area on Florida’s Gulf Coast, and is located just 25 minutes from Tampa International Airport. Recently and completely renovated, the resort features 72 holes of championship golf, 608 spacious guest suites and rooms, four restaurants and three bars, the Innisbrook Golf Institute, 11 tennis courts, the new luxury Indaba Spa with 12 treatment rooms and state-of-the-art Fitness Center, six heated swimming pool complexes, a nature preserve, and three conference halls with 65,000 square feet of meeting space. 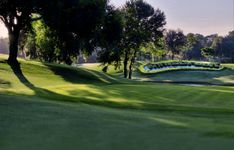 The resort hosts the annual PGA TOUR Transitions Championship at its famed Copperhead Course, and the LPGA-supported Legends Tour Open Championship, held annually at the equally challenging Island Course. Innisbrook is a member of the prestigious Preferred Hotels & Resorts, and Preferred Golf Club programs. For additional information call 727.942.2000 or visit www.innisbrookgolfresort.com.